User Experience (UX) and User Interface (UI) design are two terms that are used to describe how a web app or iPhone and Android app works and what it looks like. Together they form the relationship your users have with your app. While both are conducted during our app design process and usually go hand-in-hand, they have distinctly different purposes and goals. During our user experience phase we undertake a number of workshops and activities that help us to comprehensively understand your users’ goals. It allows us to create a detailed profile or ‘persona’ of who we are designing for – so that every design decision aligns with your end-users’ behaviours. Once we have a solid understanding of ‘who’, we start with the ‘how’. This process involves us exploring different approaches to solving your specific user problem – developing scenarios, end-to-end experiences, and interaction models. We create flow diagrams, wireframes, and prototypes which are used as tools during in-person user tests to observe their behaviour. These tests allow us to refine and iterate over and over again to reach the best user experience for your app. After we have achieved a successful user experience we start designing the user interface of your app. An interface is what users can see, so our user interface designers ensure the overall feel of the product aligns with the research gathered in the user experience process. 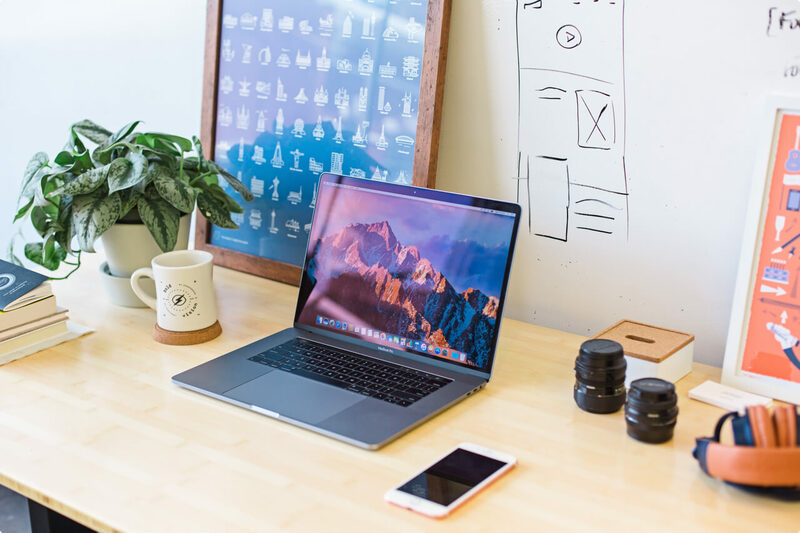 It involves laying out the different visual elements – text, buttons, images, and graphics in a way that is intuitive, visually appealing, and consistent with the overall visual design of your product. Designing for web and mobile requires specific design capability, and our Melbourne-based design team are experts at leveraging leading iOS and Android design guidelines and patterns, while also creating unique tailored interactions for your product. After the UI is complete you will see your web app or iPhone and Android app come to life as we create a visual mockup of how your final app will look and behave.